Happy Thursday, friends! Last weekend, I wasn't feeling anything in my closet and I was struggling to get ready and get dressed. I have plenty of clothes in my closet but nothing felt right to me that day. Enter the little black dress. 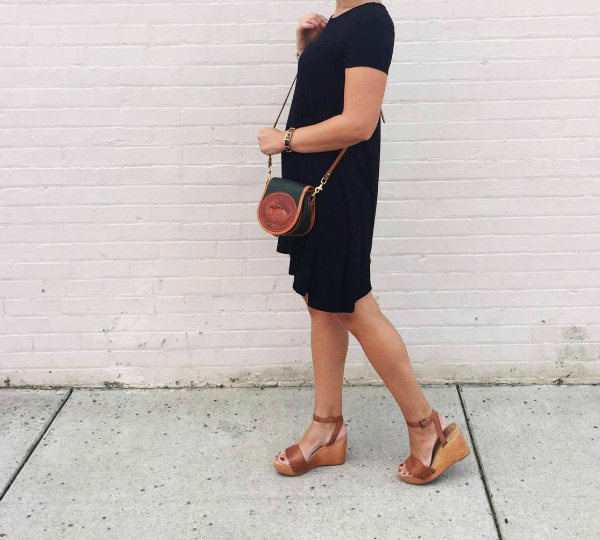 My little black swing dress is always my go-to outfit when I'm in a funk. It's so easy to style and so comfortable to wear. 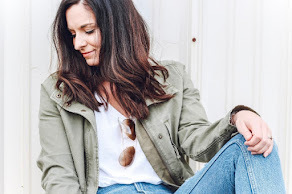 It's definitely one of my closet staples! I styled it with my cognac wedges, mixed metal jewelry, and my vintage Dooney and Bourke crossbody bag that my mom passed down to me. I love the way cognac and black compliment each other! This was such an easy look and I plan to keep this dress in rotation for fall (p.s. Happy First Day of Fall, y'all) by adding a cozy cardigan and those over the knee boots that I recently added to my closet. My dress was super affordable and the quality is great for the price, too. 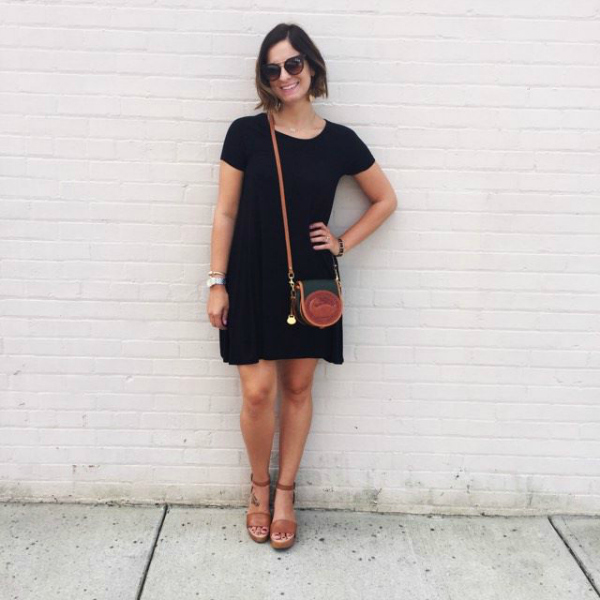 Add a little black dress to your closet for your "I don't have anything to wear" kind of days. 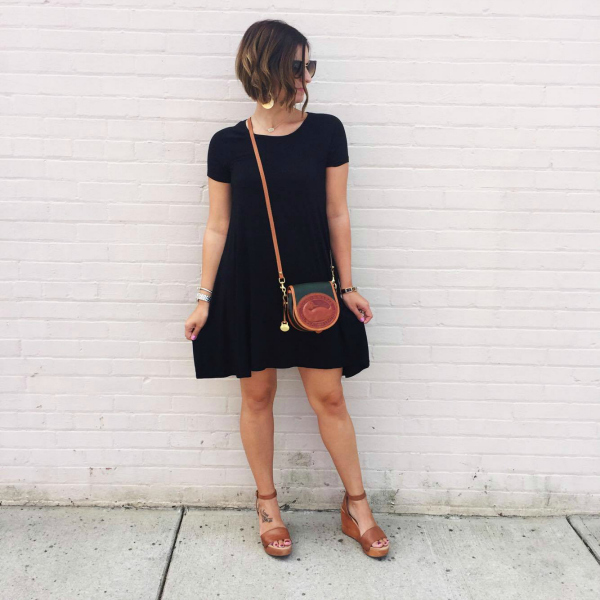 I love a good LBD and I love a good swing dress... genius to put the two together! You look great, Emily!